The material gap between cities and deindustrialised heartlands has grown over decades to become the most troublesome faultline in Western democracies. That’s what Janan Ganesh wrote last October on the Financial Times commenting the separatist tensions across the European continent. It is not a surprise in today’s global economy where the key assets are knowledge and capital. Moreover, knowledge and capital “convene on cities rather than to land and industry”. Our research shows that 67% of the European scaleups are located around one or maximum two cities per country. That means that the innovation economy in Europe is heavily concentrated in about 50 main hubs, while all the other cities and municipalities – that have been the backbone of the European economy traditionally – face the risk to be increasingly marginalized. This growing gap could potentially trigger disaggregation and separatisms. 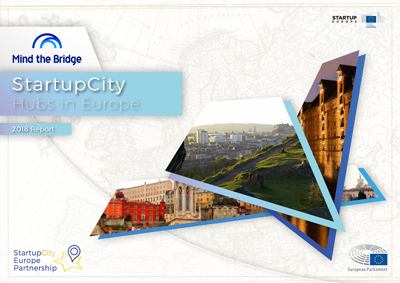 That’s why we believe that initiatives such as StartupCity Europe Partnership that we are launching today are honestly addressing one of the top political priorities for the future of Europe because we do not believe in two Europes: the Europe of the main tech city hubs on the one hand, and Europe on the other. We believe in a single Europe, where knowledge and capital can be leveraged through networks, and where all the countries and cities should be actively involved and contribute. 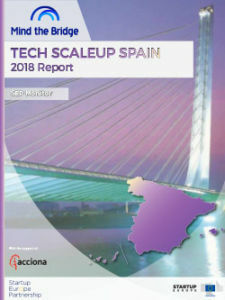 The following report is our rst effort to measure the impact of the “innovation economy” at a granular scale, in particular, focusing on the role that cities have in the concentration of innovation hubs. Most importantly, our focus lies in the analysis of the potential of development for future hubs of innovation in Europe. How to unleash such potential becomes critical for the future economic development of cities, regions, and countries. While we are aware that many of the measures used in the report are mostly proxies (see the Methodology for details), we are convinced that this is a rst important step in a more global analysis of the real potential of Innovation hubs across Europe, looking beyond the status quo. In addition to analyzing the current “tech innovation hubs” of Europe, we go deeper in nding leverages that the current “tier-two” startup cities can use to step up their game and unleash their real potential.